1.  The international competition for young opera directors is organized and promoted by Moscow City Music Theatre “Helikon-Opera” under Dmitry Bertman and the Department for Culture of the city of Moscow once in two years (started in 2013). 2. Competition gives an opportunity to young opera directors to prove themselves working with professional actors using new theater technologies. The main tasks of the NANO-OPERA competition – to enliven traditional Russian opera theater and to find new ways for organic integration of modern technologies into the opera. 3. In the program there are short opera scenes and a strictly limited time to stage them, adequate to the requirements of modern stage directing. Stage design for the competitive works should be made in the style of minimalism and limited to video projections. 4. Information about the competition is published on the www.helikon.ru and nano-opera.ru not later than October 15, 2019. 5. The age limit for the participants is 40 years old, regardless citizenship, but with higher education, confirmed by the Diploma. 6. The participants and the winners of the previous competitions Nano-Opera are accepted to take part in Nano-Opera2019. 7.In NANO-OPERA competition there are 3 rounds. For the selection roundthe perspective members produce the explication of one opera scene (any opera scene) of the world classic opera repertoire; it must be 2 pages of typed text made preferably in two languages – Russian and English. Explication should be sent to the nanoopera@gmail.com or viktoria.helikon@gmail.com not later than April 1, 2019. The Jury decision will be published on Nano-Opera.ru and www.helikon.ru not later than May 1 , 2019. Explications are not edited or returned back to the senders. 8. Those who were selected through the e-net are supposed to arrive to Moscow on May 19, 2019. The allotment of those passed through to the 1st round, will be held on May 20, 2019 in “Shakhovskaya” White-Column Hall of Helikon-Opera. 9. The 1st, the 2nd and the 3d rounds will be held on the stage of “Shakhovskaya” White-Column Hall of Helikon-Opera in public. At the 1st round (May 21, 2019) the participants will work with the soloists of Helikon-Opera staging one opera aria, chosen from the list attached. At the 2nd round (May 22 , 2019) the participants of NANO-OPERA project will work with the soloists over the duets. At the 3d round the finalists are working with the soloists and the choir of Helikon-Opera making the mass scene. The 1st, the 2nd and 3d rounds are accompanied by the piano. The stage design is mostly made by video projections, prepared by the participants at home. Working languages of the contest are Russian and English. 10. International Jury of NANO-OPERA competition includes opera and drama directors, intendants of Russian and Foreign opera theaters headed by the Chairman of the Jury – General and Artistic Director of Helikon-Opera, People’s Artist of Russia, professor Dmitry Bertman. The Jury’s decision is final. 11. Media Jury, consisting of the leading musical critics of the country, awards with their own prizes the participants, independent from the professional Jury. 12. The International Jury’s decision is final. 13. The awarding ceremony and Gala-concert will be held on May 24, 19.00 in the Helikon-Opera theater in “Stravinsky” Hall. In the Gala-concert the winners will present their works out of those shown during the 1st, the 2nd and the 3d tours (the choice of Jury), accompanied by the orchestra of Helikon-Opera. Before the Gala concert there will be held a dress-rehearsal. All the winners, participants and the members of the Jury and Media Jury will get the memorial gifts and diplomas. 14. The hotel expenses for the participants who passed through to the 1nd round will be paid by the Nano-Opera competition from 19 to 24 May, 2019. All the expenses on the flight to Moscow and back must covered by the participants. The theater provides all foreign participants of the competition with visa support via the Russian Foreign Ministry to guarantee the obtainment of Russian entry visas. The visa costs if any must be covered by the participants. The participants will not receive any payment for their performance at the competition or for any later use of the recordings and broadcasts of these performances. 15. “Helikon-Opera” has exclusive rights to sell the audio video recordings and transmit the competition auditions and the final Gala concert. 16. In the event of any dispute in the interpretation of these terms and conditions, the correct text is considered to be Russian.